I haven't seen anyone make you aware of this yet, but the charging handle is on the wrong side. An M14/M1A operating rod, charging handle and spring assembly is on the user's right. Springfield doesn't make a left handed one. 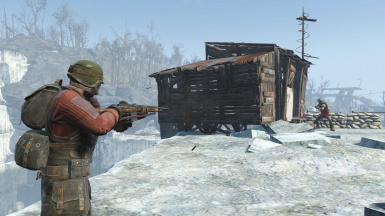 This was one of the first weapons mods available (IIRC it predates the release of the GECK) at that time there were no custom animations and so the author of this mod followed Bethesda in mirroring the action of the weapon. 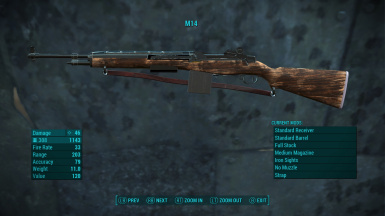 if this mod isnt completely dead yet, would it be possible to create a replacer for the Combat Rifle with the M14? 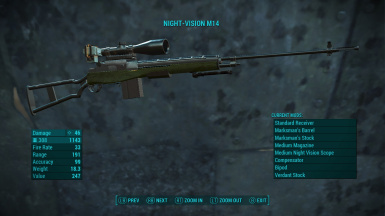 the MK14 EBR doesnt really fit the fallout world imo and this is a far better replacement. Contact this mod Author and he might be willing to do it. 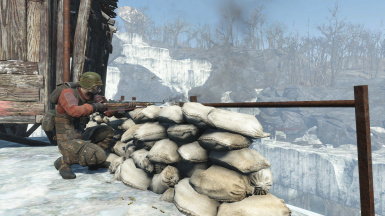 i love this gun any chance you wil make a patch for visible holsterd weapons? i would try myself but i dont think i understand how to do it lol. 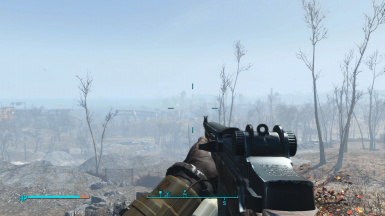 its invisible in my game.. but vortex says it is enabled without any conflict with my mods. what should i do? 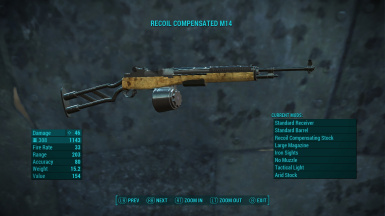 can anyone make a mod that makes the m14 replace the combat rifle? 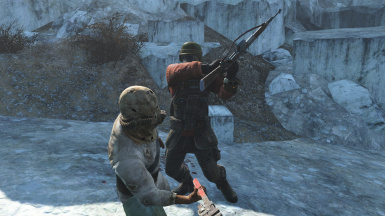 Has anyone made an actual animation for this weapon yet? Nice! 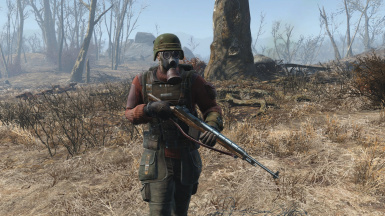 Exactly the type of rifle mod I've been looking for. 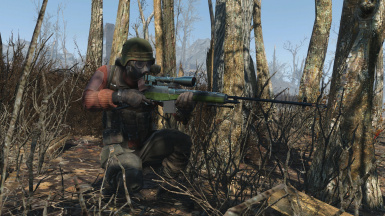 Not a big fan of hyper modern firearms in my FO universe, and though there have been many excellent pistol/revolver mods (historic and/or "created from scratch in the spirit of FO"), I haven't come across many for rifles. This scratches that very itch. Merci! 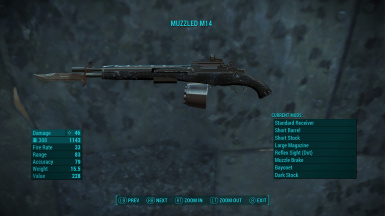 Hello, is it possible.. (if it''s not too mich work) to lower the Weapons Dammage? 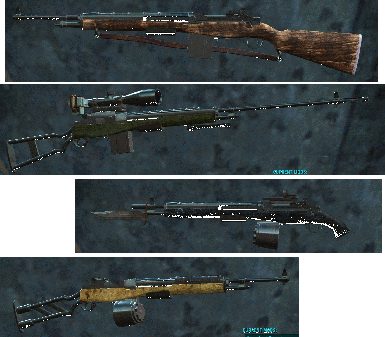 Your Weapon in comparison to other Fallout 4 Vanilla Weapons, does a way too much dammage, and im scared to use any Weapon mods on it. Another Problem is that all Followers do more dammage to all enemies as me (if i use a Vanilla weapon with less dammage, and them an M14) then i won't get any EXP from killed enemies as long as they use your weapon. It's a great Weapon, great Textures and Meshes but its very unbalanced for "Legendary" or "Heavy Difficult" players like me. It makes my Game much easier, i hope you can fix it anyhow.